Jacqueline Nash was the 2017 recipient of the Mid-America Health Care Executives Forum (MAHCEF) award. Jacqueline is a sophomore at Southern Illinois University – Carbondale currently majoring in Health Care Management with a minor in Rehabilitative Services. From Bettendorf, Iowa, Jacqueline was a captain of her high school swim team, a four year honor roll student, a member of National Honor Society, and a mentor for students with special needs. 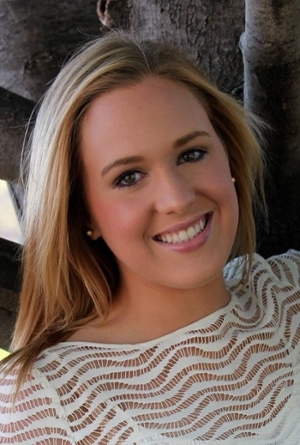 Follo...wing her graduation, Jacqueline began studying Health Care Management in the fall of 2015 with plans to make an impact in the hospital setting of Health Care Management. Currently at SIUC, she is the student manager for the SIU Men’s and Women’s Swim and Dive team, a member of the Dean’s List all three semesters, as well as a recipient of the CASA Honors Award for the 2015-2016 school year and recognition as a Top 5% Student in Psychology for fall 2015. With a passion for leadership, organization, and helping others, Jacqueline is looking forward to applying and expanding her knowledge of Health Care Management this summer while interning for UnityPoint Health – Trinity in Rock Island, IL. Kendall Cole received the Association of University Programs in Healthcare Administration (AUPHA) Undergraduate Health Care Management Award for 2017. Christopher Grace as the recipient of the Bugbee-Falk Book Award. Our Health Care Management (HCM) program was selected by the Association of University Programs in Health Administration (AUPHA) this year - allowing us to select one of our graduating students to receive this prestigious award. Mr. Grace was selected unanimously by the HCM Faculty to be our recipient due to his academic performance. Mr. Grace graduates this semester and we know he will go on to do great things in the field of health care and serve as an excellent ambassador for the HCM program for years to come. The Bugbee-Falk Book Award was established in honor of the extraordinary contributions of Mr. George Bugbee and Dr. Isidore S. Falk to the development of health services administration education in 1973, and is an innovative way to support tomorrow’s leaders. The award consists of several books from the field of health administration and general management, and is intended to form the foundation of the recipient’s professional library. The books serve as a symbol of academic success and commitment to excellence. Congratulations to School of Allied Health - Health Care Management (HCM) student, Ms. Avona Greene on her nomination to be recognized by the Mid-America Health Care Executives Forum (MAHCEF) this year. Ms. Greene was nominated for this recognition by the HCM program Faculty based on her academic performance, leadership acumen, and volunteer community service. Special thanks goes to Dr. Bernie Kerr from Central Michigan University, also a member of the HCM External Advisory Board, for once again facilitating the recognition of one of our excellent students. 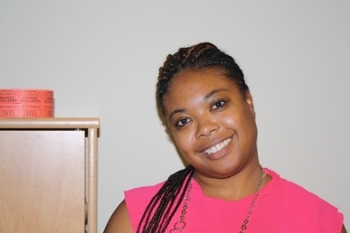 Avona E. Greene is a junior Health Care Management Student at Southern Illinois University- Carbondale. 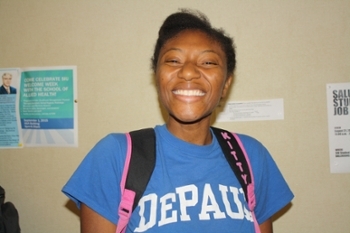 She is a member of the Delta Epsilon Iota Academic Honor Society, The Student Healthcare Management Association and the SIUC Cheerleading team. Avona currently has a 4.0 GPA and has received several academic awards including a CASA Honors Award, Top 5% Psychology Student Award, Student Athlete Honors Award, as well as continually making the SIUC Dean’s List each semester. Born in Champaign, Illinois, Avona has served as a volunteer tutor for elementary school children, a service attendant in the Salt and Light Resource Center and the Salem Baptist Church Soup Kitchen, as well as a founder and lecturer of the Central Illinois Community Action Coalition that urges Junior High school children to resist negative peer pressure. Avona’s work history includes being an Instrument Maintenance Assistant at the University of Illinois College of Veterinary Medicine, A Computer Technician & Lab Assistant in her hometown at SupporTech Computers as well as at SIUC, and a Summer Medical Assistant at the Carle Hospital Heart and Vascular Institute in Champaign, IL. In addition she recently accepted a position as an Academic Peer Advocate for the upcoming Fall 2016 school year here at SIUC. Richard Goins, Chief Operating Officer at Massac Memorial Hospital and the newest member of the School of Allied Health - Healthcare Management Executive Advisory Board (EAB), has been named as a featured alumni for the Healthcare Managment program. 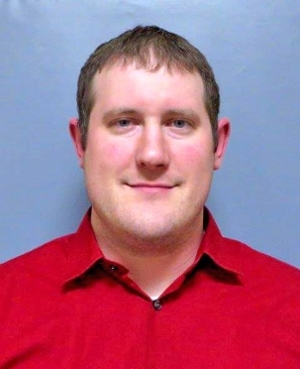 Read about his experience since graduating from the SIU Healthcare Management Program in 2001. 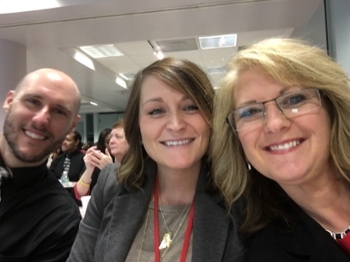 Approximately 45 HCM students traveled independently to Carle Clinic in Urbana, Illinois for a Population Health conference hosted by the Mid-America Health Care Executives Forum (a chapter of the American Health Care Executives.) Sessions included Patient Centered Medical Homes, CEO Roundtable Discussion, and Population Health Management. They received a round of applause from the CEOs for their excellent attendance and initiative! 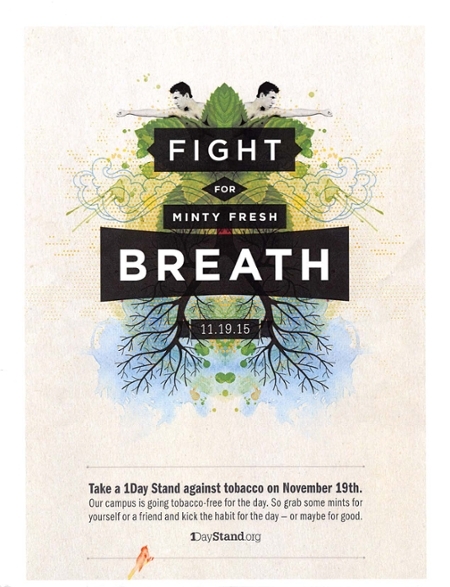 The university will participate in a national “1 Day Stand Against Tobacco” campaign from 11 a.m. to 2 p.m., Nov. 19, in the Student Center. 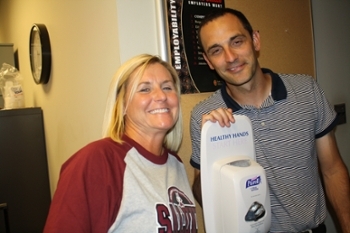 SIU Carbondale is one of many campuses across the country who has adopted a smoke-free policy. The campaign, supported by the Tobacco-Free College Campus Campus Initiative Challenge, is designed to raise awareness of the harmful effects of tobacco use and second-hand smoke and help tobacco users to quit. Faculty and students are encouraged to visit the interactive booth at the north escalators to learn about available resources, including smart phone applications, that can help people quit tobacco use. The SIU Dental Hygiene Program will be assisting with the smart phone applications on Nov. 19th. If you can, please post the following Tweet messages to family, friends, co-workers, or anyone you care about to encourage them to quit using tobacco products. 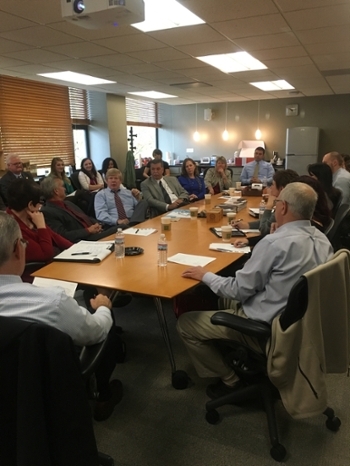 The Health Care Management (HCM) program hosted its annual External Advisory Board (EAB) meeting on Tuesday, November 3rd, 2015. 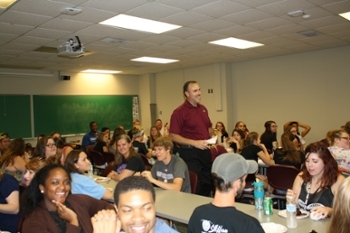 The meeting was well attended by Administration, Faculty, Staff, Health Care Executives, and HCM Students. Discussion on a non-transcriptable professional development series was held in which EAB members provided topic areas they would like to see offered. Board members discussed the status of the MHA/MHI and indicated that providing those programs are approved they would all like to serve on the EAB for those programs as well as continue on the undergraduate program EAB. The annual program assessment was reported and board members provided suggestions on updating the strategic planning, community/population health, and coding portions of the HCM curriculum. There was also discussion on integrating clinical knowledge (ex: SOAP notes) into the Managerial Epidemiology course given health care managers need an understanding of clinical documentation and processes even if they aren’t clinically licensed. 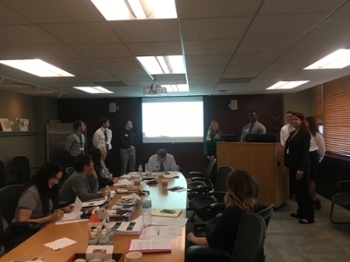 HCM students gave presentations to the Board on material they have learned in the HCM 390 – Human Resources and Labor Relations course. Topics included Doctors and Competency Exams, Gender Gaps in Salary, Resilience Training, Employee Engagement Programs, Generational Issues/Diversity and Inclusion, and Increasing the Number of Women in the C-suite. Board members overwhelmingly enjoyed the exercise and want to continue this practice in the future and students were given the unique opportunity to receive thoughtful critique from field executives on how to improve their presentation skills. Executives also commented that they were pleased to see such up-to-date and relevant information being covered in the curriculum. A special thank you goes to Marcea Walter (Assistant Professor, HCM) and her SHMA student organization for assisting Board members with parking and for escorting them to the Dean’s Conference room, as well as set up and tear down of the EAB meeting. Kyle Chamness (Allied Health Specialist) also is appreciated along with Marcea Walter for helping in the coordination of student presentations. 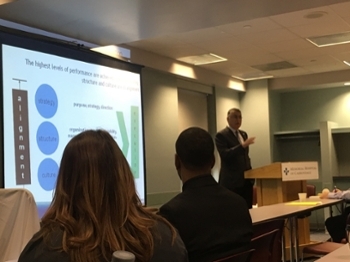 An educational event presented by the American College of Healthcare Executives (ACHE)/Mid-America Healthcare Executives Forum (MAHEF) was held October 20th at Southern Illinois Healthcare/Memorial Hospital of Carbondale. This was the largest educational event ever held by the MAHEF chapter largely due to the overwhelming attendance of Health Care Management students. Over 100 participants were present as two panels of field experts provided information to approximately 50 Health Care Management students and nearly 50 healthcare executives from surrounding health care facilities. One session was on Performance Transformation Methodologies and the other was on Diversity as a Value-Added Business Initiative. Sandy Collins, Associate Professor and Program Director - HCM, as a member of the MAHEF Board, assisted with the coordination of the event and served as an invited Moderator for the Diversity session. Special thanks goes to Kyle Chamness, Allied Health Specialist; Marcea Walter, HCM Assistant Professor and Faculty Advisor for the Student Healthcare Management Association (SHMA); and the students of the SHMA for their assistance in making the event an extraordinary success. 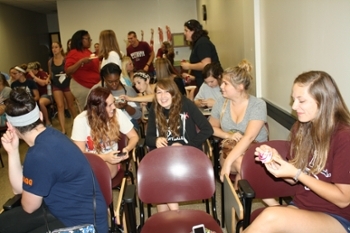 The School of Allied Health held their Welcome Event on September 1st this academic year. This event was was a huge success as the number of students that attended (estimating 300+) was the largest attendance in school history. The Carbondale community was very supportive of the event and we look forward to having another successful event next year! 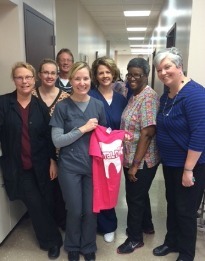 Dental Hygiene program organized another Give Adults a Smile Day July 10, 2015. It was a fantastic day to give back to those in need in the Southern Illinois region. We had 72 adult patients and about 50 volunteers who provided exams, x-rays and cleanings to those who needed the care. We provided approximately $11,000 worth of oral health care for free. A big thanks to Jennifer S. Sherry, Faith Miller, Stacey McKinney, and other faculty and volunteers for such a wonderful event. Many businesses and companies supplied products and discounts for this event, and we appreciate their support. The Dental Sealant Grant Program provided free preventive dental services to children ages 3 to 17 in Cobden, Pinckneyville, Marion, Murphysboro and surrounding areas this summer. Services include exams, cleanings, fluoride treatments, and sealants performed by senior dental hygiene students. The exam fulfills state requirements for children who will be entering kindergarten, second, and sixth grade this fall. Dr. Michael Grey, Associate Professor of Radiologic Sciences and Coordinator of MRI / CT, was invited to present an educational course at the 2015 ASRT Educational Symposium in July 2015: CT003 Sectional Anatomy with Pathologic Correlation: Select Case Studies of the Central Nervous System, in Albuquerque, New Mexico. The audience evaluation of his presentation was outstanding. On a 1 - 5 scale with 5 strongest for seven areas of evaluation, Dr. Grey received overall average score of 4.77 and very positive feedback. Ellen Lipmen, Director of Professional Development at American Society of Radiologic Technologists (ASRT) wrote a thank-you letter to Michael on behalf of ASRT. Congratulations! Marcea Walter, Assistant Professor of Health Care Management, has been added to the Mid-America Health Care Executives Forum (MAHCEF) Diversity Committee. MAHCEF is a Chapter of the American College of Health Care Executives (ACHE). Congratulations! Congratulations to Faith Miller, Associate Professor of Dental Hygiene, for being selected to receive a three-year appointment as a Judge William Holmes Cook Professor at Southern Illinois University Carbondale. This is a prestigious professorship established in memory of and through an unrestricted gift from the estate of Judge William Holmes Cook. It includes a special stipend of $7,500 per year to be used for research projects, travel allowance, or to fund a graduate assistantship. Faith Miller, Associate Professor of Dental Hygiene, has a peer-reviewed paper titled “Addressing Whitening-Related Sensitivity” published in Dimensions of Dental Hygiene, July 2015, pp. 21 - 22. This is a journal widely read among practitioners, students and educators. 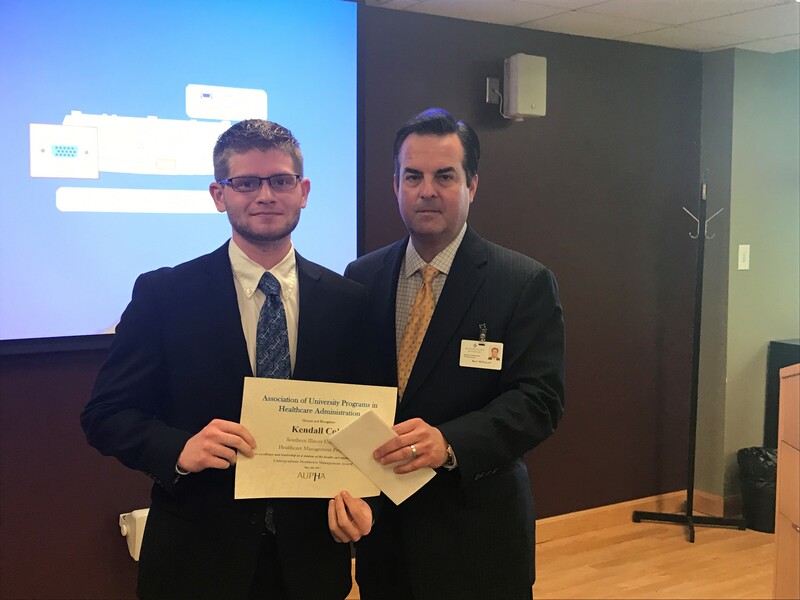 Five of our current medical dosimetry students received scholarship awards from the professional association: AAMD (American Association of Medical Dosimetrists Education and Research Foundation). Each of them will receive a cash award of $4,200. 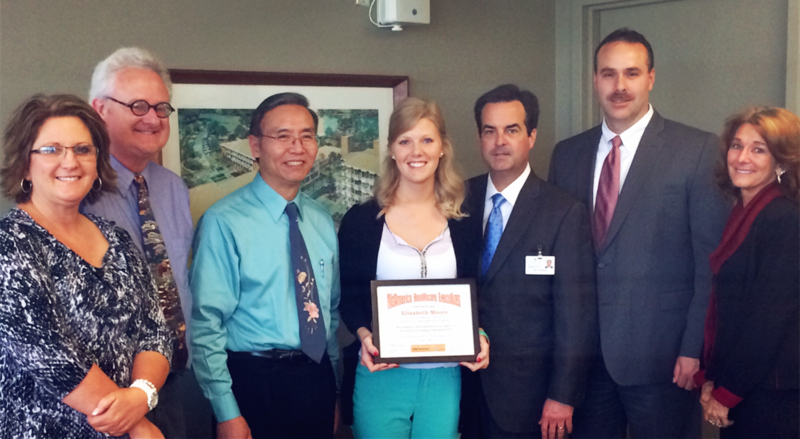 This is out of a total of 15 recipients from all dosimetry programs in the nation. Congratulations to Kimberly Wrye (BS 1993 Health Care Management, BS 1982 Advanced Technical Studies) for being promoted to Director of Quality at Baptist Health Paducah: https://surfky.com/index.php/news/local/mccracken/62687-baptist-health-paducah-names-new-quality-director. The 2015 summer class of Radiation Therapy specialization in Radiologic Sciences program passed the ARRT (American Registry of Radiologic Technologists) exam on their first attempt with 100% passing rate. The 2015 cohort Dental Hygiene (DH) students passed the National Board DH Exam (NBDHE) on their first attempt with 100% passing rate. Dr. Sandra Collins, Program Director and Associate Professor of Health Care Management (HCM), and Marcea Walter, Clinical Instructor of HCM, have a presentation accepted titled: “Using Simple Regression to Improve Student Skills in Financial Analysis.” This will be presented at the Association of University Programs in Healthcare Administration (AUPHA) conference to be held next month in Miami, Florida. Congratulations! We are happy to report that two new Master’s degree proposals from the School of Allied Health, the MHA (Master of Health Administration) and MHI (Master of Health Informatics) NUIs (New Unit of Instructions) were unanimously approved by the Graduate Council on Thursday, May 7, 2015. The two proposals will now be sent to IBHE for their review and it is hopeful that all approvals will be in place for a Fall 2016 start. Thank you to everyone for their support as well as a specific thank you to Scott Collins, Sandy Collins and Kyle Chamness for their work in preparing the proposals. Congratulations! Rick McKinnies, Associate Professor of Radiologic Sciences, has been elected to the Graduate Council. His term will continue for three academic years, and will expire in May 2018. This is an important service to the College and the University. “The Graduate Council is the constituency body that represents the University Graduate Faculty in the determination of policies regarding graduate education and research activities within the University.” Please join us in congratulating Rick and expressing thanks to his service. Congratulations! Approximately 25 students from Dental Hygiene (DH) participated in the Special Olympics Special Smiles event last Friday at SIUC. They were able to spend time at the opening ceremonies where they cheered on the athletes from all over southern Illinois. The group performed approximately 30 oral health assessments as well as oral hygiene instructions to the athletes and participants. The athletes received an oral health kit which had a battery operated toothbrush, toothpaste and a dental hygiene clinic pamphlet. This was a great community outreach and it gave the students a different perspective through the event. A big thanks to Dr. Angela Chen, Jennifer Meyer and Jennifer Sherry for mentoring and helping coordinate the event. Tess Ocampo, an off-campus Health Care Management (HCM) Senior, received The Best Intern Award from Hawkeye Chiropractic. The internship course started for off-campus HCM students a couple of years ago. 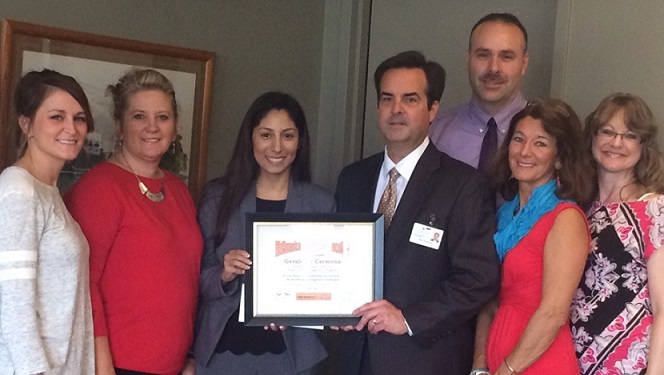 Ocampo is the first to receive an award from an off-campus HCM program. Congratulations! We are happy to report the MRI (Magnetic Resonance Imaging) program received the maximum initial accreditation award of three years by the Joint Review Committee on Education in Radiologic Technology (JRCERT), the only agency recognized by the United States Department of Education (USDE) for the accreditation of educational programs in radiography, radiation therapy, magnetic resonance, and medical dosimetry. Congratulations! At their April 24, 2015 meeting of The Joint Review Committee on Education in Radiologic Technology (JRCERT), our Radiography program was evaluated according to the Standards for an Accredited Educational Program in Radiography (2014). The JRCERT awarded the maximum initial accreditation to our Radiography program for a period of three years. This year’s cohort will graduate from a fully accredited program. Congratulations! The Dental Sealant Grant Program (DSGP) for FY 2016 proposal has been submitted by Faith Y. Miller, Associate Professor and Program Director of Dental Hygiene, PI, with Co-PI Charla J. Lautar, Professor of Dental Hygiene. The proposal will be awarded the same amount of $20,600, as of last year, funding from the Illinois Department of Public Health from July 1, 2015 to June 30, 2016. Congratulations! 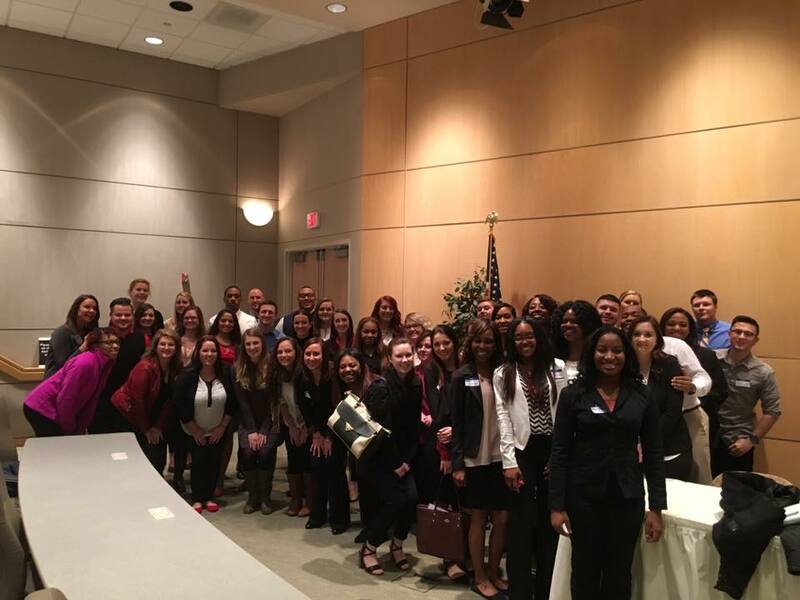 SIU Student Healthcare Management Association (SHMA) hosted the 5th annual Austin’s Day on Saturday, April 18th, 2015, with over 40 HCM students participating. Students volunteered their time on Saturday to honor the memory of victims lost in college shootings of recent years, as well as SIU Healthcare Management alumni Christina Meo, who survived the 2008 shooting at Northern Illinois University, after which she transferred to SIU’s Healthcare Management Program to finish her education. Students brought dogs to spend time with residents at area senior living centers (Liberty Village and Prairie Living) where HCM alumni are employed, which allows students to also network with alumni in the field. They also gave one home's garden a makeover, provided services to a local HIV/AIDS organization, and provided assistance to John A. Logan College’s Men’s Health Conference. The Austin’s Day is named for Austin Cloyd who was one of 32 who was killed in the Virginia Tech shooting in 2007. Here is the KFVS12 television coverage of the event: http://www.kfvs12.com/story/28838899/austins-day-honored-in-carbondale?fb_action_ids=10206049125614854&fb_action_types=og.shares. The Mid-America Health Care Executives Forum provided Health Care Management student Geraldine Carmona with a certification of recognition and a monetary award for her leadership acumen, academic performance, and volunteer activities. Geraldine was nominated for the award by the Health Care Management faculty. Bart Millstead from Southern Illinois Healthcare presented the award on behalf of the Mid-America group. 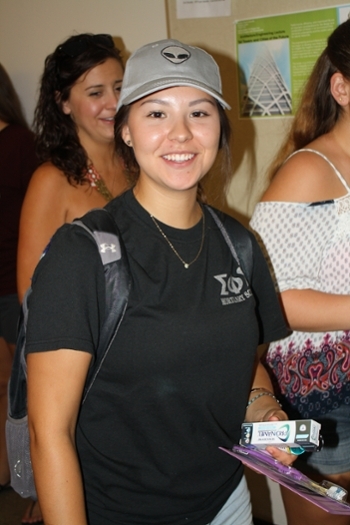 Geraldine Carmona is a senior at Southern Illinois University (SIUC). She finished her last semester with a 4.0/4.0 GPA placing her on the Dean’s List. Health Care Management was her perfect career path. Being part of the biggest industry in the United States was a less daunting endeavor, knowing that Southern Illinois University – Carbondale would equip her with the tools she needed. During her time at SIUC, Geraldine was a board member of the SIU Student Healthcare Management Association, and also received a Certification of Appreciation from the College of Applied Sciences and Arts for her support and contribution to the Healthcare Management Program. 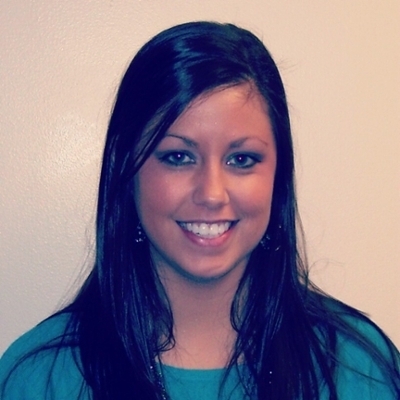 She is currently completing her internship with Southern Illinois Healthcare. Geraldine found her passion in healthcare at age 15 when she began as a volunteer for Casa Migrant Head Start in Cobden, Illinois. Working alongside low-income families and providing child care and health services is what sparked her interest in the field. Volunteering is a favorite pastime of Geraldine’s and has brought her joy, fulfillment, and a wealth of experience. Today, Geraldine continues to help limited English-proficient individuals as a Certified Spanish Medical Interpreter at Southern Illinois Healthcare. She is eager to learn and grow within the Southern Illinois Healthcare community and hopes to attend Graduate School for a Masters of Health Administration. Congratulations! Dr. Joan M. Davis, Professor of Dental Hygiene, has a co-authored paper “Tobacco Dependence Education in U.S. 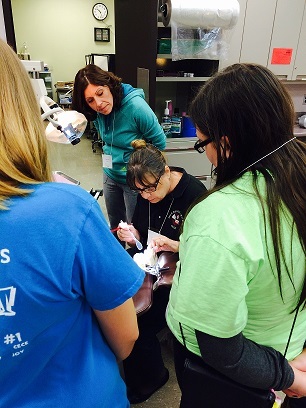 Dental Assisting Programs’ Curricula” published in Journal of Dental Education, April 2015: Vol. 79, No. 4, page 378-387. The Medical Dosimetry Certification Board (MDCB) exam results for the 2014 graduating class has been released. Dr. Collins, Director of the School of Allied Health and Professor of Radiologic Sciences, reported that 100% of the 17 graduates that took the exam on their first attempt passed the exam. In comparison, the average pass rate for all 15 programs across the U.S. was 78.5%, and the overall pass rate for the exam was 67%.This is strong evidence of the quality of our Medical Dosimetry Master’s degree program. Congratulations! Sandy Collins, Associate Professor of Health Care Management, has a presentation accepted for the AUPHA conference in Miami, Florida in June 2015 with Dr. Cristian Lieneck from Texas State University and Dr. James Stephens (Distinguished Fellow in Healthcare Leadership) from Georgia Southern University: Lieneck, C., Collins, S.K., Stephens, J. (2015, June). Exploratory review of terminated veterans affairs health system medical center executives. Association of University Programs in Healthcare Administration (AUPHA). Congratulations! The Dental Hygiene (DH) program had a student teacher with us last week completing her BS in DH online through the College of Southern Nevada. Her name is Julie Dermody. 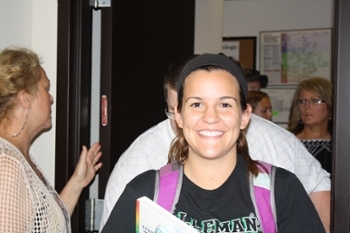 She was here last month to shadow some of the faculty. She stated that she had learned quite a bit from our faculty. Congratulations! Congratulations to School of Allied Health - Health Care Management (HCM) student, Ms. Geraldine Carmona, on her nomination to be recognized by the Mid-America Healthcare Executives Forum this year. This is the fifth year that the HCM program has been asked to participate in this award. Ms. Carmona was nominated for this recognition by the HCM program faculty based on her academic performance, leadership acumen, and volunteer community service. Special thanks goes to Dr. Bernie Kerr from Central Michigan University, also a member of the HCM External Advisory Board, for once again facilitating the recognition of one of our excellent students. Congratulations! The most prestigious award in CASA, the E.J. and Mary C. Simon Distinguished Faculty Award this year goes to Jennifer Sherry, Associate Professor of Dental Hygiene, School of Allied Health. This award is intended to acknowledge, celebrate and reward extraordinary lifetime achievement with respect to teaching and other activities directly related to the education and general welfare of students of the College of Applied Sciences and Arts (CASA). This is the top faculty award in our college. The recipient receives $5,000 and a plaque, and makes a speech at the annual CASA Honors Day Ceremony. E.J. Simon was dean of the college from its inception in 1951 until his retirement in 1970, and both he and his wife, Mary C. Simon, remained strong supporters of the University and CASA. This award recognizes the overall accomplishments of a faculty member in support of his or her respective program and can only be received once in a lifetime. I would like to take this opportunity to thank all nominators and the E.J. and Mary C. Simon Distinguished Faculty Award Selection Committee for their diligent work and service. Congratulations again! Mr. Kevin Rush became the newest member of our External Advisory Board (EAB) for the Health Care Management (HCM) program. 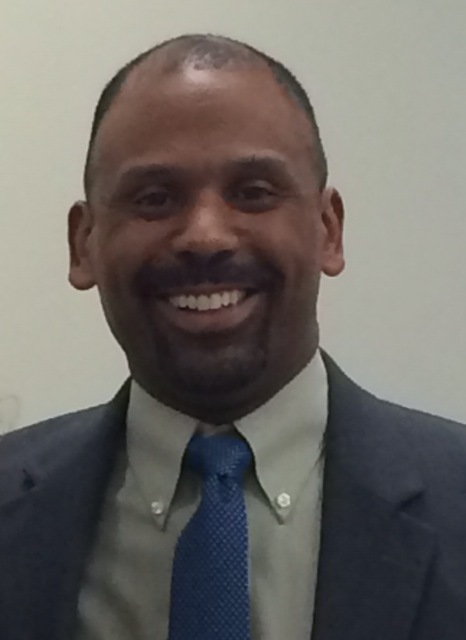 Mr. Kevin Rush is the Administrator of Radiology for TriHealth in Cincinnati, Ohio. They are the 4th largest employer in Cincinnati. 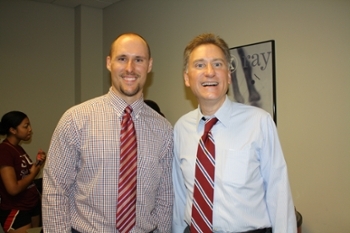 Kevin served the HCM program last Tuesday as a guest speaker in an HCM class. Also Kevin has experience in big data applications in healthcare. Congratulations! This award is intended to acknowledge, celebrate and reward extraordinary lifetime achievement with respect to teaching and other activities directly related to the education and general welfare of students of the College of Applied Sciences and Arts (CASA). This is the top faculty award in our college. Sandy Collins, Associate Professor of Health Care Management, Richard C McKinnies, Associate Professor of Radiologic Sciences, and Scott Collins, School Director and Professor of Radiologic Sciences have co-authored a paper titled: Leadership Characteristics for Healthcare Managers: Perspectives of Chief Executive Officers in U.S. Hospitals to be published in the Health Care Manager journal. Congratulations! 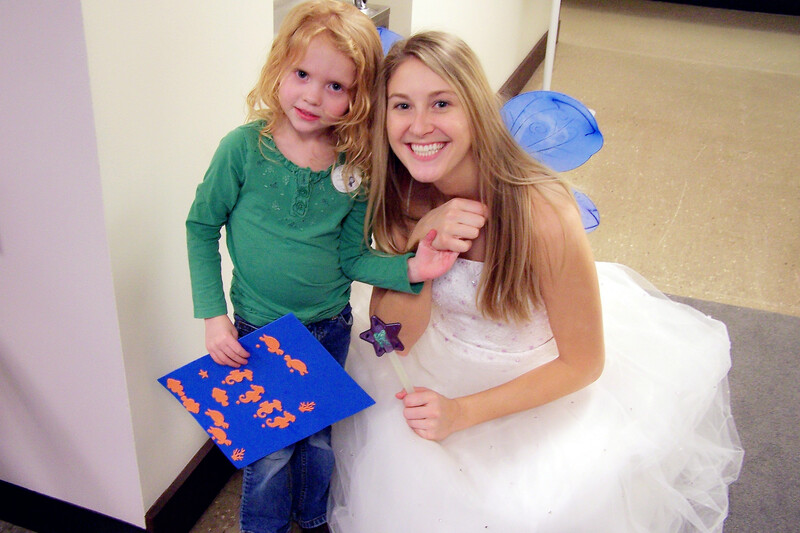 Jennifer Meyer, Assistant Instructor of Dental Hygiene, successfully organized another Give Kids a Smile Day in our Community Dental Center (CDC), Friday, February 20, 2015. Over 200 kids visited the CDC that day, and approximately 16 faculty and 100 students from our Dental Hygiene program, along with volunteer dentists and hygienists, provided free dental examinations, x-rays, cleanings, fluoride treatments, sealants and fillings, or simple extractions. Congratulations to the School of Allied Health (SAH) Radiologic Sciences (RADS) program for its articulation agreement with Rend Lake College. The agreement has been signed by President Terry Wilkerson of Rend Lake College and Dr. Susan Ford for President Randy Dunn. According to the agreement, all graduates of Rend Lake College with an Associate in Applied Science (AAS) degree in Radiologic Technology and meeting SIU Carbondale admission requirements will be considered for admission into the Bachelor of Science (BS) degree in Radiologic Sciences (RADS), Magnetic Resonance Imaging and Computed Tomography Option (MRI and CT), Radiation Therapy Option, or Education and Management Option in our college based upon the School enrollment criteria and space availability. The Commission on Dental Accreditation (CODA) approved our Dental Hygiene (DH) program accreditation based on the July 2014 site visit report. So the DH program’s accreditation status is “approval without reporting requirements” and the next site visit is scheduled for 2020. Congratulations to the DH faculty and staff! Please join me in congratulating Dr. Sandy Collins who has been selected by the School of Allied Health (SAH) Research Paper of the Year Committee as the recipient of the 2015 SAH Research Paper of the Year. Her article, "Machiavellianism in Health Care Explored: Differences in Aspiring Managers and Patient Care Professionals" will be submitted for the 2015 CASA Research Paper of the Year Award competition. Congratulations! The Dental Hygiene Program, in conjunction with the Southern Illinois Dental Society and the Southern Illinois Dental Hygiene Society, will organize a Give Kids a Smile Day event on Friday, February 20, 2015 from 8:30am to 4:30pm at our Community Dental Clinic. If anyone knows of any families that might be interested, please encourage them to make an appointment through (618-453-8826), and specify that they are calling for "Give Kids a Smile Day." Approximately 100 students and 16 faculty from the dental hygiene program, along with volunteer dentists and hygienists, will provide the free care. Congratulations Julie Davis for being awarded the School of Allied Health Tenured/Tenure Track Teacher of the Year! 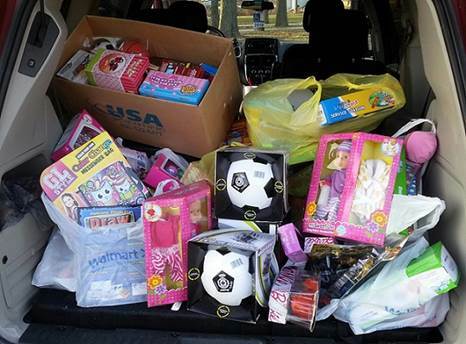 Robert A. Broomfield, Academic Advisor of the School of Allied Health (SAH), organizes an Annual Toy Drive. To the left is a picture of all toys loaded in his van that were donated by the faculty, staff, and students of the College of Applied Sciences and Arts. We even had contributions from staff that have retired from CASA. Every year since Robert started the toy drive he has delivered a truck load or van load full of toys to the Salvation Army, thanks to the kindness of employees and students in CASA. The Salvation Army use these toys to supplement the toys that do not get purchased for their Angle Tree Tags which help needed families in Southern Illinois. Robert would like to say Thank You to all of the fantastic folks of the College of Applied Sciences and Arts. 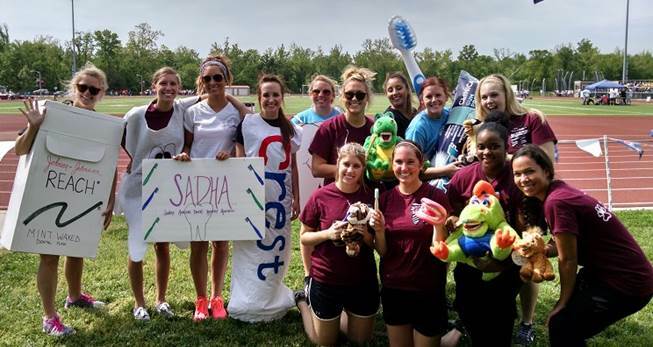 The SIU Dental Hygiene Program has been providing quality dental hygiene care for thousands of Southern Illinoisans since 1961 offering SIU students a strong public health emphasis including dental cleanings and cavity preventing sealants to area school children, oral cancer exams, and oral health education. Without our Dental Hygiene clinic, hundreds of adults would have negligible access to dental hygiene care. For more information visit: https://sustainability.siu.edu/. Christine Sweeney, Senior in the Mortuary Science and Funeral Service (MSFS) program, was the winner of the 17th Annual Mortuary Science and Funeral Service Embalming Colloquium student project competition on Tuesday, December 2nd, 2014. Congratulations! Sandy K. Collins, Associate Professor & Program Director of Health Care Management, was nominated and selected by the Mid-America Healthcare Executives (Local American College of Healthcare Executives, ACHE Chapter) to serve as the Chair of the Diversity Committee. Congratulations! 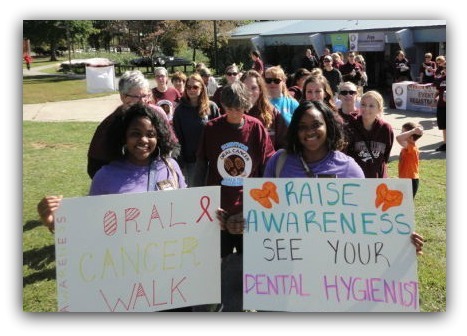 Our Dental Hygiene (DH) program was featured in an article in the Southern Illinoisan about first oral cancer walk hosted earlier this month. 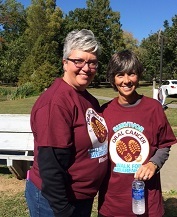 Southern Illinois Dental Hygienists’ Society #12, along with the Oral Cancer Foundation, held the first annual Oral Cancer Walk for Awareness on October 5 at Southern Illinois University’s Campus Lake. 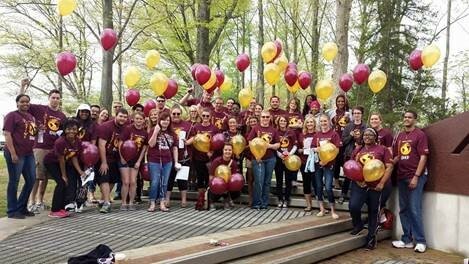 Area hygienists, students and faculty from the SIU and John A. Logan College dental hygiene programs, local dentists, community members and oral cancer survivors were present to participate in the walk and to help bring awareness to a terrible disease with a high mortality rate. The 2014 Oral Cancer Foundation Walk for Awareness in Southern Illinois raised approximately $7,000. These funds will be used to reduce suffering and save lives through advocacy, research, prevention, and patient support activities. Thanks to our Dental Hygiene (DH) program for their generous donation of toothbrushes to Operation Christmas Child. The event was very successful. They packed and sent out 140 boxes full of gifts and hygiene items to under privileged children across the globe. Here is the Daily Egyptians coverage of the event. Faith Miller, Program Director and Associate Professor of Dental Hygiene, published an article in the November issue of Dimensions of Dental Hygiene, entitled "Supporting Kids' Smiles" focused on the importance of school-based sealant programs as a way to reduce dental decay among vulnerable populations. Miller, FY (Nov 2014). Supporting kids' smiles. Dimensions of Dental Hygiene. 12:11; 48, 50, 52. This is a peer-reviewed journal for the Dental Hygiene profession and boasts a wide readership. Jennifer Meyer, Assistant Instructor of Dental Hygiene, has secured almost $16,000 in gifts in kind from the Johnson and Johnson Clinical Essentials Program. These items will be used for patient care. Congratulations! Dr. Charla Lautar, along with senior dental hygiene students Alyssa LoVerde and Malia Casali, facilitated a workshop "Dental Hygiene - More Than Just Teeth" for SIUC's Expanding Your Horizon participants, who explored properties of various dental materials, learned how to place dental sealants and how to identify aspects of tooth anatomy. Participants were also introduced to "hands-on activities" that included simulated charting, mixing and pouring plaster, and applying pit and fissure dental sealants. Hopefully, these young girls in grades 5 through 9 will further investigate the art and science of dental hygiene as a career. The Expanding Your Horizons Network (EYHN) is a 501(c) nonpro­fit organization dedicated to providing gateway STEM experiences to middle and high school girls that spark interest in STEM activities and careers (www.expandingyourhorizons.org). 1. 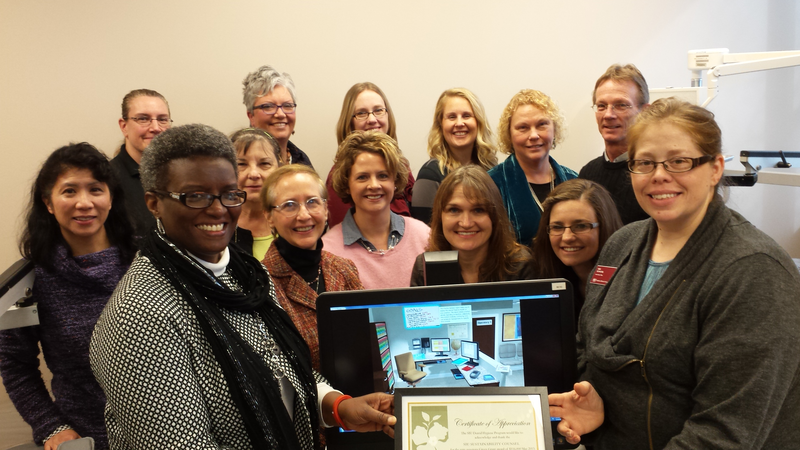 Dedicated faculty committed to student success and program improvement. 2. Enthusiastic students who selected this program specifically to earn the BS degree. 3. Strong support of the university administration, College, and program clinical affiliates. 4. Up-to-date ultrasound equipment in the sonography lab. 6. Changes to program in response to student, employer, and advisory committee feedback regarding length of the program and inclusion of vascular content in the degree plan. Congratulations to all Sonography faculty! 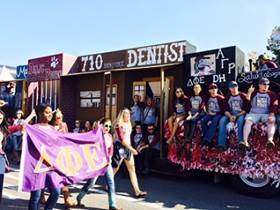 Congratulations to the Dental Hygiene students and their co-float builders, Delta Phi Epsilon and Alpha Gamma Rho, whose float took first place in the Homecoming “Wild with Pride” parade competition! Senior DH student Alyssa LoVerde coordinated the float building team at this event. Congratulations! 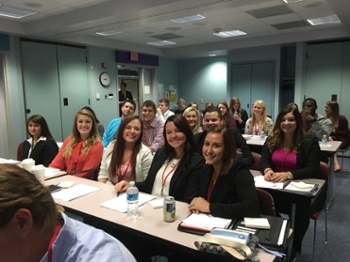 The RSO for HCM, known as the Student Healthcare Management Association (SHMA), is working with the MidAmerica Healthcare Executives (our local American College of Healthcare Executives (ACHE) chapter) to allow approximately 30 HCM students to attend the annual MidAmerica Healthcare Executives meeting in Mt. Vernon at Crossroads Hospital last Thursday. ACHE is one of the most prominent professional organizations in the healthcare industry. Students will be able to network with healthcare executives from all over the region and participate in discussions about challenges in the management of healthcare organizations. Some of our Alumni Network leaders, such as Jessica Block (our volunteer Network President), were attending this meeting. HCM Students “Visit” Saudi Arabia: Saad Al-Shammari and Ayed Al-Naqool, HCM students from Saudi Arabia, took the HCM students in the HCM 390 – Human Resources and Labor Relations in Healthcare class on a journey through Saudi Arabia through food and open conversation as part of the course discussions on cultural competency. They answered impromptu questions from classmates on their culture, religion, marriage, attire, and of course, their health care system. A big Saluki thank you goes out to these students who graciously provided all who attended this once-in-a-lifetime learning experience. The first ever Oral Cancer Walk took place on a beautiful fall day at Campus Boat Dock on Sunday, October 5, 2014. 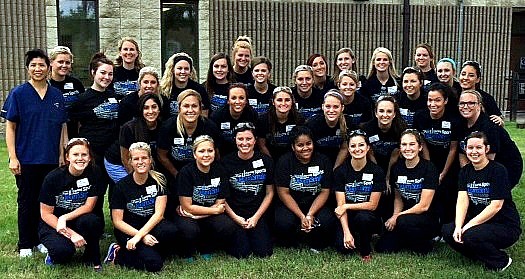 The walk was hosted by the Southern Illinois Dental Hygienists' Society, a component of the American Dental Hygienists' Association. 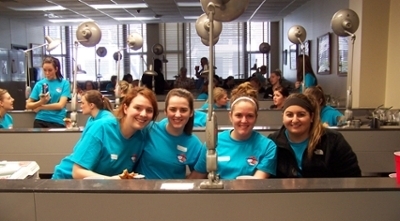 Several dental hygiene students were on hand to make signs, walk, volunteer and render oral cancer screenings. 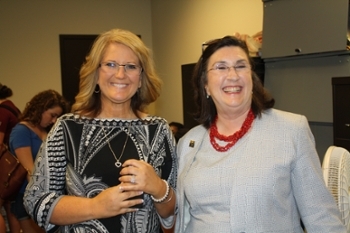 Several of the faculty also participated in the event: Jennifer Sherry, President of the component and retired faculty Sherri Lukes were the chairs of this event. There was a similar event taking place in the northern part of the state at the same time. The purpose is to raise awareness and money for continued research. Professors Faith Miller, Dr. Amy Wyatt, and Joan Davis were also participants. Zoe Owens participated and took photos. Former DH Director Dr. Dwayne Summers was among many of the members of the local dental society to support the walk along with Dr. Geoff Partlow, Dr. Brian Goldsberry, Dr. Dan Massie, and Dr. Wyatt. All of these dentists have supported the DH Program's Give Kids a Smile Day in February each year. Dr. Massie spoke on behalf of an oral cancer survivor and there were also two survivors, one who spoke and both spoke with the media. News outlets TV3 and KFVS-12 covered the event. Members of the SIU Baseball team walked in honor of their coach who lost his battle with oral cancer a few years ago and Wes Williams served as the emcee. The SIU PTA Program will be having a Massage Day on October 20 and October 22. The time will be from 11:00am-12:30pm on both days. All are invited to attend. First year PTA students will be providing massages free of charge. Each massage will last 10 minutes. The event will be held in ASA room 62, the PTA lab. The Dental Hygiene (DH) program will provide free oral cancer screenings from 1:00pm to 4:00pm on Sunday, October 5th, 2014 during the Oral Cancer Foundation’s inaugural Southern Illinois awareness walk event sponsored by the Southern Illinois Dental Hygienists’ Society No. 12. Marla Beatty, ACHE fellow, came and spoke to healthcare management students about working in a multi-generational workforce and the benefits of joining the American College of Healthcare Executives. During her presentation, she outlined the differences of each generation and what their general work ethic was like. This helped us better understand what our baby boomer or millennial bosses may expect from us when we enter the workforce. After her presentation, she spoke about how to network and broke us into pairs for a speed networking exercise. Each pair of students had 2 minutes to get to know each other and what their plans were for the next five years. 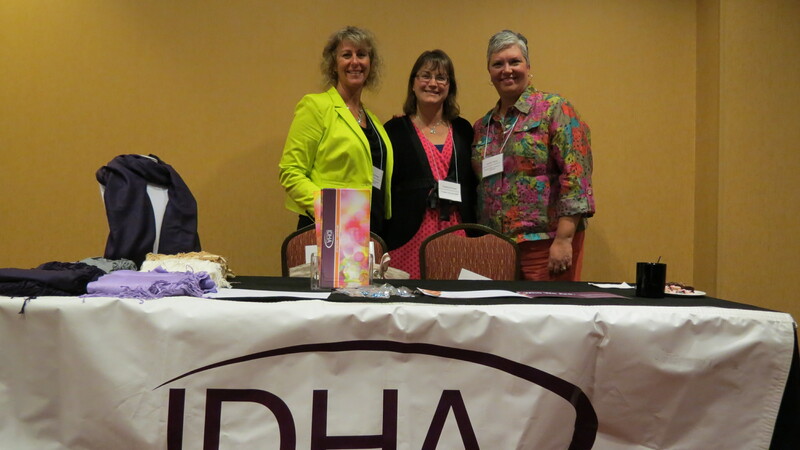 Jennifer S. Sherry, Associate Professor of Dental Hygiene, and Teri McSherry, Senior Lecturer of Dental Hygiene, had a presentation entitled "A Hospital and Community Partnership Between Southern Illinois Healthcare and SIUC's Community Dental Center" at the Illinois Oral Health Conference in Bloomington, IL, on September 11, 2014. The main presentation was entitled "A Hospital and Community Partnership to Improve Access and Reduce Dental Care in the Emergency Department" and was presented with Diane Land, MPH, CHES, from Southern Illinois Healthcare. This was a great way to show how a hospital and a dental clinic can assist each other in caring for patient's oral health needs. 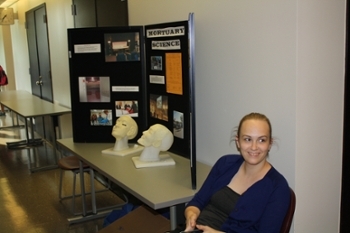 Jennifer S. Sherry also had a presentation entitled "Give Adults a Smile Day". This presentation gave an overview of the program and how it has evolved the last four years. 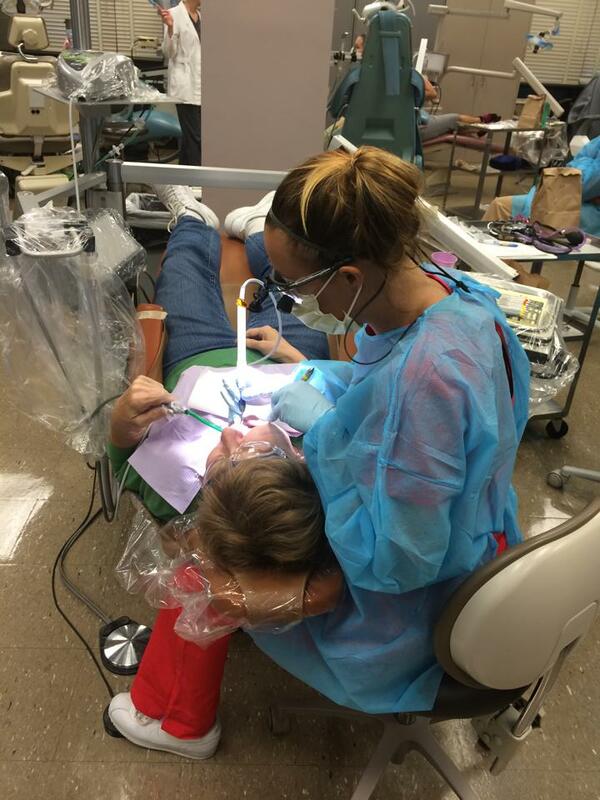 Southern Illinois Dental Hygienists’ Society #12 organized and participated in the fourth annual Give Adults a Smile Day held at Southern Illinois University Carbondale, IL. There is a major access to care issue in the southern Illinois region and we were able to provide dental services to patients who were either uninsured or covered under the Medicaid system. 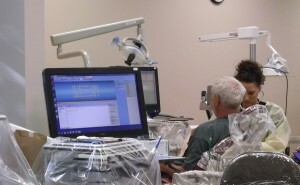 Seventy-one patients were seen for preventive services as well as some limited restorative care on the day-long event. 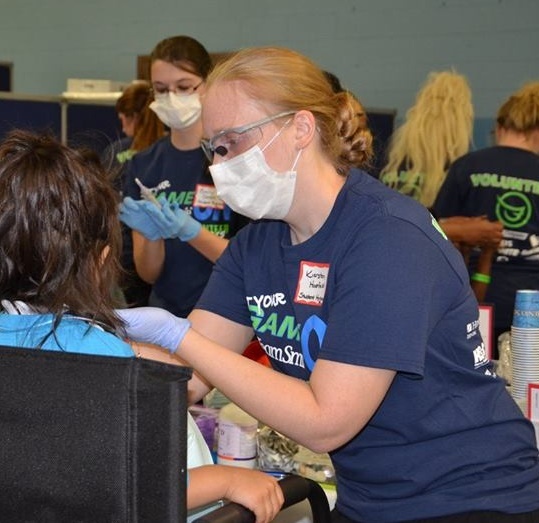 There were volunteer dentists, dental hygienists and dental hygiene students and faculty from Southern Illinois University (SIUC) and John A. Logan College (JALC) that donated their time to improve the oral health of the community. This was a great interdisciplinary collaboration between practicing professionals, faculty, and students. Jennifer Meyer, Dr. Angela Chen, and 34 junior Dental Hygiene students attended the inaugural St. Louis Rams / TeamSmile dental event. The event was held at Miles Davis Elementary school in East St. Louis, Illinois. The dental hygiene students provided preventive care to over 300 kindergarten students, most of whom had never been to a dentist. The academic programs in our College were presented at the DuQuoin State Fair on Tuesday, August 26, 2014. 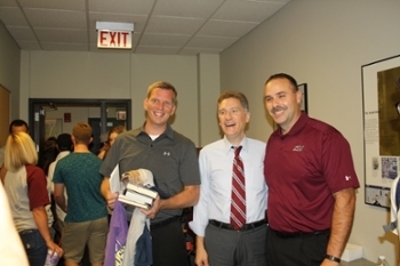 It was hot and humid, but the collegial Saluki spirit was evident in the SIU tent there. The Dental Hygiene (DH) program has been a leader in our College in community services and outreach. They are looking for more visibility and more opportunities for their program and SIU. 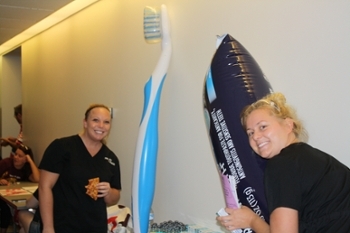 Jennifer Meyer, Assistant Instructor of Dental Hygiene, brought her Dental Hygiene students to the event. You can see their bright smile and enthusiasm in the picture above. The 2014 graduating cohort in the Radiologic Sciences program had a 100% first attempt pass rate on the ARRT (American Registry of Radiologic Technologists) Radiation Therapy exam. The Dental Hygiene program reported a 97% pass rate on both the National Board Dental Hygiene Examination (1st attempt) and a 97% pass rate on the clinical licensing exams taken by the students. They have a choice of taking one or more of 4 different clinical exams. We offer the North East Regional Board every spring on campus and most students take this exam. Sherri Lukes, Associate Professor of Dental Hygiene, was featured in an article published by The Southern for her service during a Mexico missions along with her church members and our Dental Hygiene students. The article is available at: https://thesouthern.com/lifestyles/faith-and-values/article_d827b925-c310-524d-a7d1-63b18366f9c5.html. the 91st Annual Session. 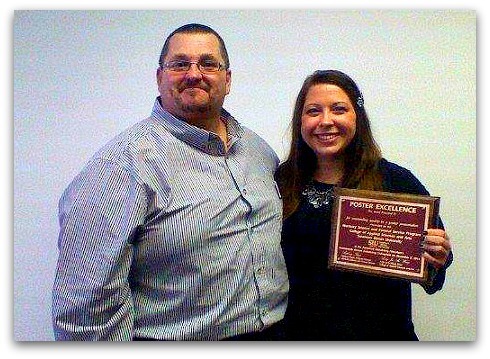 Dental Hygiene faculty Jennifer Sherry accepted an award on behalf of the Southern Illinois Dental Hygienists’ Society. In her capacity as President of the component society. 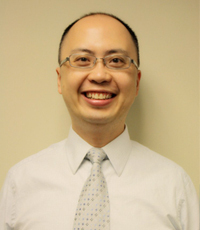 The College of Applied Sciences and Arts (CASA) Research Paper of the Year award goes to Dr. Echu Albert Liu, Associate Professor of Health Care Management. His research paper entitled "Health Illiteracy and Disparity in Health Status: An Analysis of the National Assessment of Adult Literacy" was evaluated and selected by the CASA Research Paper of the Year Committee as the Applied Sciences and Arts best paper of the year. Congratulations! 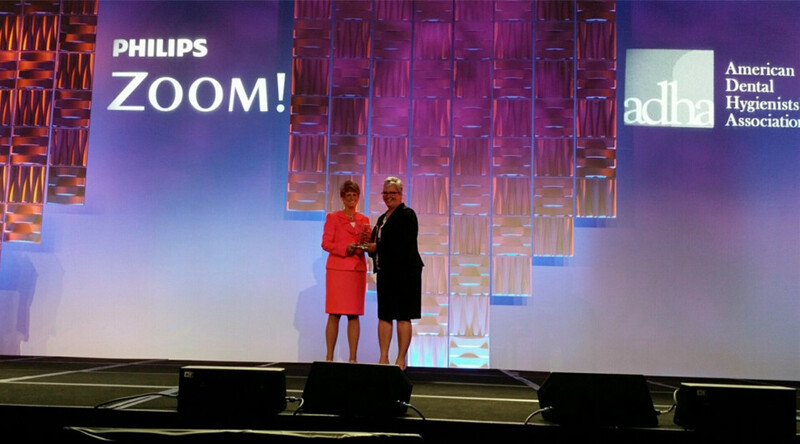 One of HCM's finest, Elizabeth Moore, received recognition from the MidAmerica Healthcare Executives Forum this year. MAHCEF is a chapter of the American College of Healthcare Executives (ACHE). Thanks to Bart Millstead, Administrator of Southern Illinois Healthcare (SIH), for presenting the award. SIU students and faculty spent the day making Carbondale a little more beautiful in honor of students that were in the midst of school shootings. The SIU Student Healthcare Management Association took part in digging a garden and cleaned up trash in support of Austin's Day. The event was organized in Carbondale to also honor SIUC Health Care Management alumni Christina Meo, who survived a school shooting at Northern Illinois University. Students say it is turning a negative event into a positive while helping those in their area. They say it's a great way to help turn around any negative thoughts of what happens into happy thoughts of helping others out to help family and friends not dwell on the negativity they endured in their past during the shooting at their school. 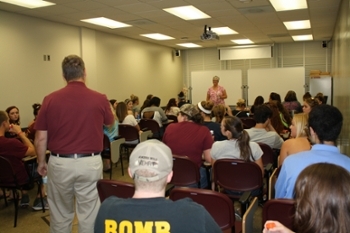 Director of Compliance from Southern Illinois Healthcare, April Holmes, spoke with Health Care Management students on 4/10/14 regarding how compliance initiatives impact the healthcare field. 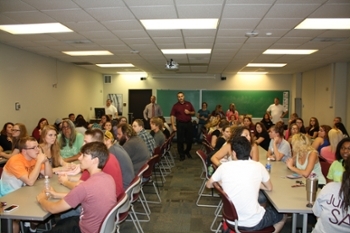 HCM Alumni Network and the Student Healthcare Management Association hosted Speed Interviewing Event. Approximately 25 Health Care Management students waited their turn to be "mock-interviewed" by area Health Care professionals. 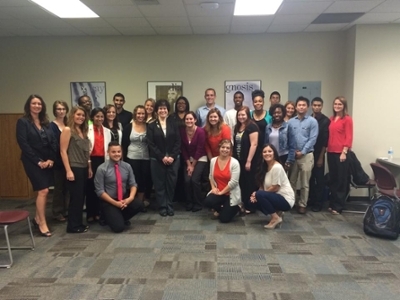 Students were given the opportunity to meet with several HCM Alumni now working in the healthcare field. They were provided with resume critiques, mock interviews, and interview tips to help prepare them for entry into the healthcare workforce upon graduation. The event was well-attended and received excellent responses regarding the workforce "readiness" of HCM students. Healthcare Executives Work Together to Improve HCM's Internship. Andy Wang, Dean of College of Applied Sciences and Arts, and Scott Collins, Director of School of Allied Health, attended the meeting. Health Care Management graduate and Executive, Caleigh Griffin, spoke in the HCM classes this morning on the importance of internships and current challenges in the field of healthcare. Health Care Management Executive, Jenna Alka, was on campus last week to provide up-to-date real world knowledge and practical examples of coding and reimbursement issues to the field. HCM students as part of the Alumni Network that was created for student mentorship. Jenna is also part of the External Advisory Board for HCM. Health Care Management graduate and Telemedicine/Project Management guru, Josh Sarver, spoke in the HCM classes about trends in information systems. For a 12th year, the Southern Illinois University Dental Hygiene Program offered its “Give Kids a Smile Day” on Friday, Feb. 28. The free dental care is open to children from infants to 14 years old who do not receive regular dental treatment and do not have regular access to dental care. The program continues to steadily grow, from about 50 children participating over two days in 2003 to about 240 children each of the past four years. The event ran from 8:30 a.m.to 4:30 p.m. at the SIU Community Dental Center, which is west of the SIU Arena. 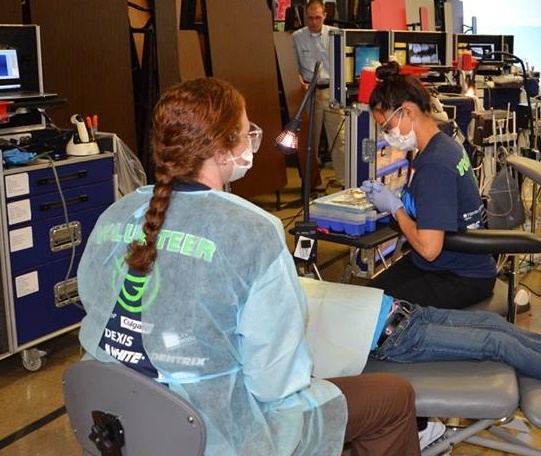 Approximately 100 students and 10 faculty from the dental hygiene program, along with volunteer dentists and hygienists, provided the free care. Participating children received dental examinations, x-rays, cleanings, fluoride treatments, sealants and fillings, or simple extractions under special circumstances. 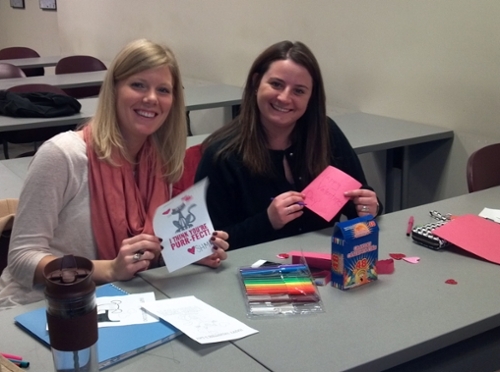 Student Healthcare Management Association hosted their second Annual Valentine’s Card making party. 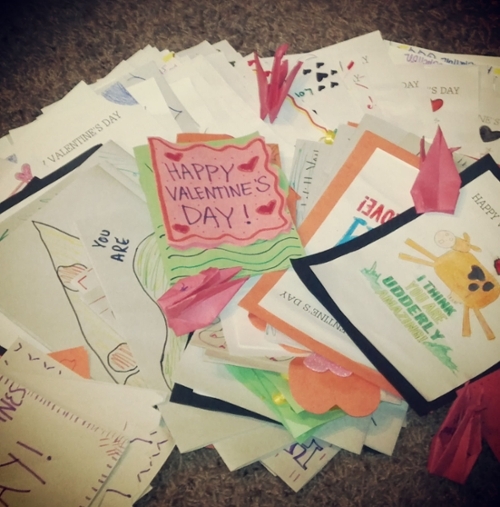 The students made over 140 hand-made beautiful valentine cards on Feb. 12, met with Bart Millstead and Diane Honn, and then distributed the Valentine Cards at SIH on Friday, Feb. 14.